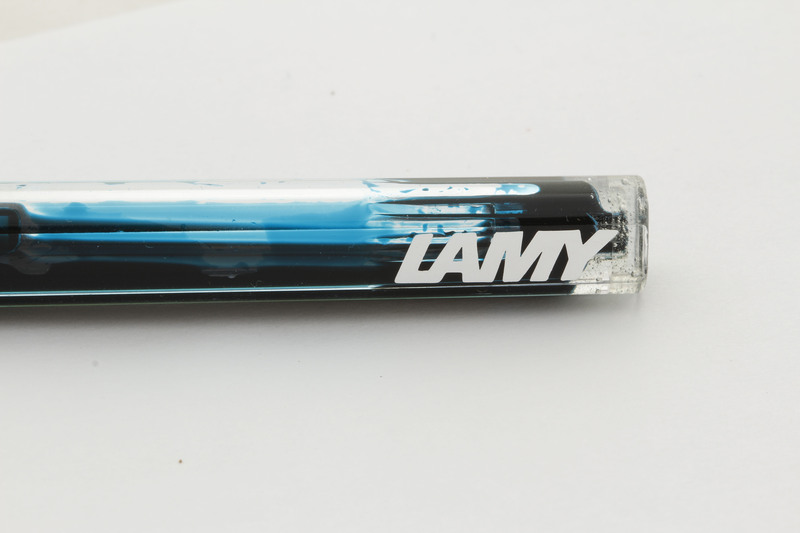 Lamy Vista isn’t the easiest pen to convert, but it is possible. 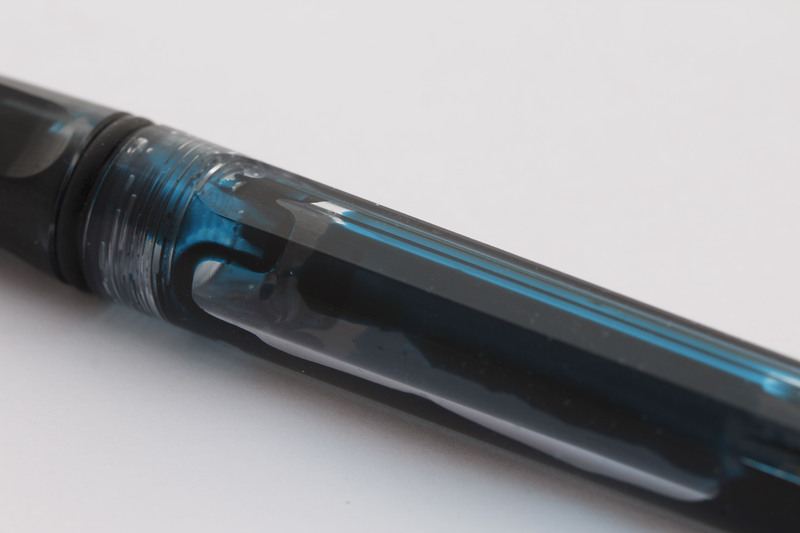 Vista fountain pens have two ink windows (ink would leak out). 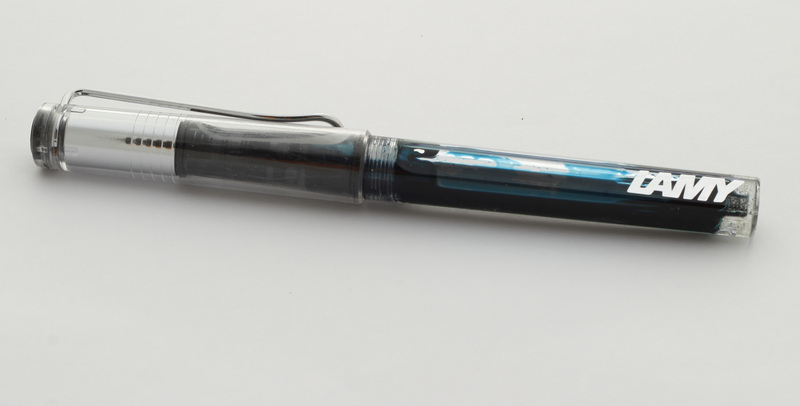 Vista roller-ball pen looks similar. It doesn’t have an ink window, but it does have breather holes at the top. Here is where Epoxy comes in. I have used 2-part clear epoxy resin glue. There are many threads on FPN and YouTube videos. People have used all sorts of super glues, plastic glues, but I wanted something clear and ‘invisible’. Long story short: I have swapped the barrels and sealed the holes. Now let’s have a look how I’ve done it. 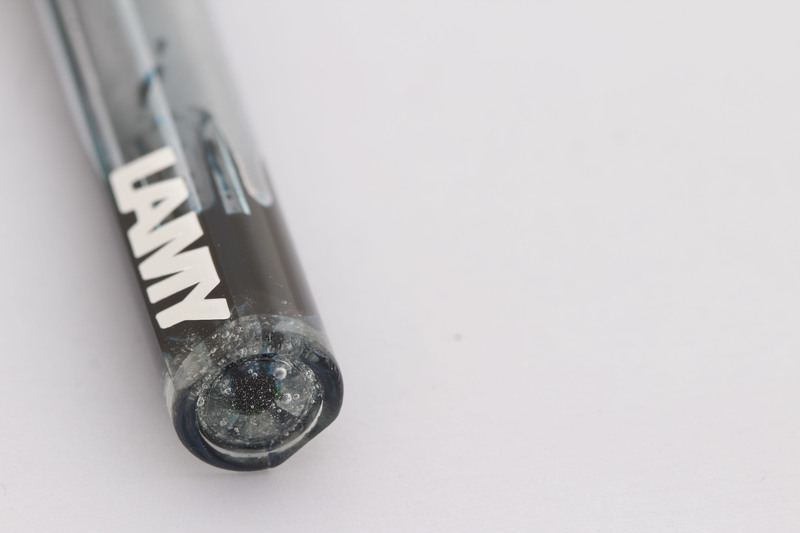 grab Vista Rollerball barrel and dunk it in the epoxy. Just the end bit of course 😉 I think that this is the most important step of them all. Using a Q-tip or brush would not give same result! let it set for good 5 minutes and inspect again. Mine was set by now and I was very happy with the way it turned out. Glue was almost invisible and it was nice and round. No sharp corners, no residue. Epoxy went inside the holes and not on the outside. Yeey! you are good to go!!!! Gorgeous!!!!! 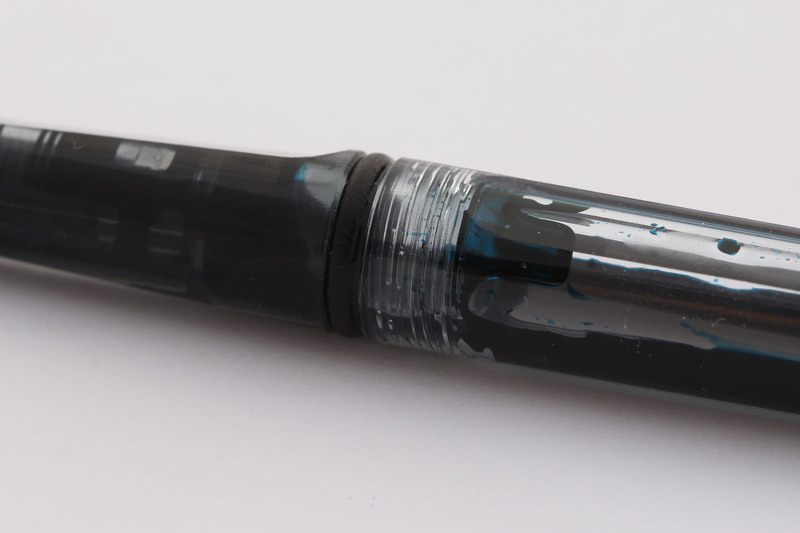 I have inked my pen with Private Reserve Blue Suede (teal inks are super cool). great job. even a mere male could understand your guide. pictures are super professional too.